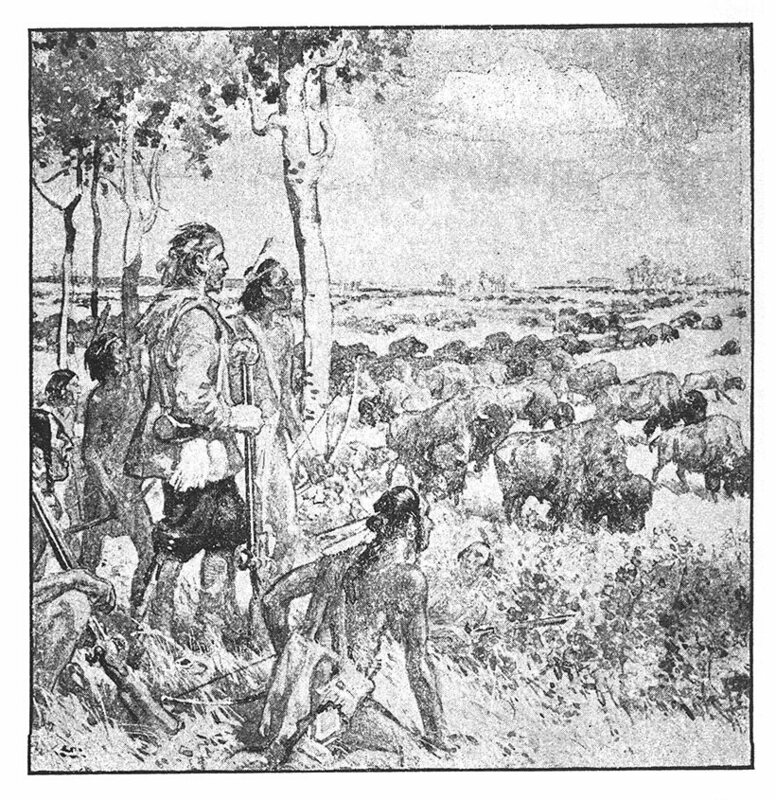 Henry Kelsey, a young man in the service of the Hudson's Bay Company, was sent, in 1690, to establish trade relations with the Indians of the plains. 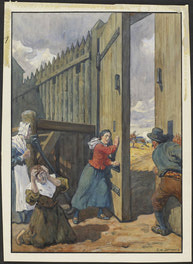 He spent two years among them, and penetrated farther into the prairie than any previous white man, but his route and the distance he travelled are not certainly known. He was the first white man to see and describe the muskox, the grizzly bear and the buffalo. His journals and letters have been published by the Public Archives of Canada in The Kelsey Papers, with an introduction by Sir Arthur Doughty and Professor Chester Martin, which gives all the information available concerning Kelsey, his journey, his connection with the Company, and his subsequent career. 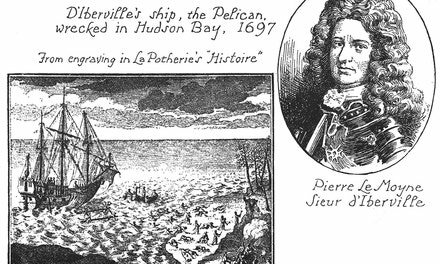 D'Iberville and His Ship, The "Pelican"
As she neared the gate, an Indian, who had outstripped his companions, caught the kerchief that covered her shoulders, but she loosed herself, and rushing in, with the aid of the manservant, she slammed and bolted the gate fast.